Making a choice about which expert to work with for your shutters, shades and window blinds doesn't have to be difficult. Ask around and locals will tell you the company to call on is Sweet Shutters and Shades. With over 20 years of experience in the industry behind this company, it is safe to say we have the skills necessary to make the most of your job. We take this line of work seriously and genuinely care about the clients we work with. Creating the perfect look for your window treatments is about more than just the appearance, it is about finding a good fit for your lifestyle. Our goal is to help you make decisions that you will be able to live with, and love, for years to come. We want to be you go to shutter company for Belmont window treatments. They immediately add to the value of your house. So you can feel confident about making a wise investment and not just a frivolous purchase. Shutters are the top choice, when it comes to privacy and light control. No other form of window treatment has as much versatility and flexibility. This style of window dressing is also ideal for being low maintenance. They are fairly easy to clean and maintain, with repairs usually being simple and cost-effective. To find out more, contact us and let us meet with you to tell you more about the benefits of shutters. 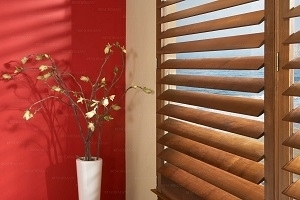 Sweet Shutters and Shades is the local leading service provider for window blinds, as well. When it comes to all of your options for window treatments, the only way to be sure about what is right for you is to gain an understanding of your options in the first place. We look forward to working with you.